This is what it has all come to. I miss you guys. If years from now the picture is gone, here is a description. 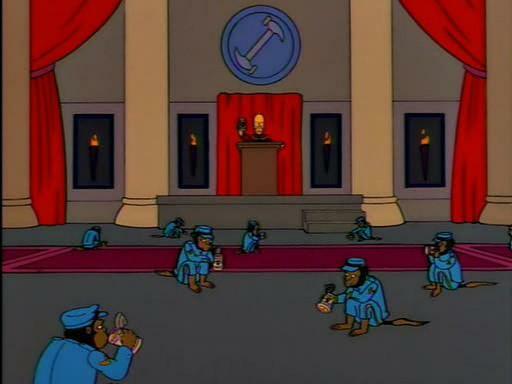 It is Homer Simpson at the podium of the Stonecutters' Lodge surrounded by monkeys (ie all the people are gone). So much nostalgia when i visit this famn site. Hope everyone's doing well. Your request was handled in 0.07 seconds.